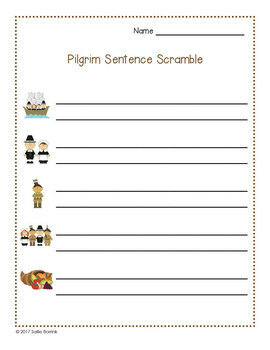 This Pilgrims Unit Sentence Scramble activity is a fun way to reinforce sentence concepts and comprehension. 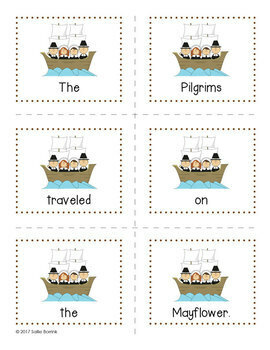 There are TWO sets of cards so teachers can use the set most appropriate for their class. Set one: Sentence cards have correct capitals and punctuation. Students only need to put words in order and copy onto their recording sheet. 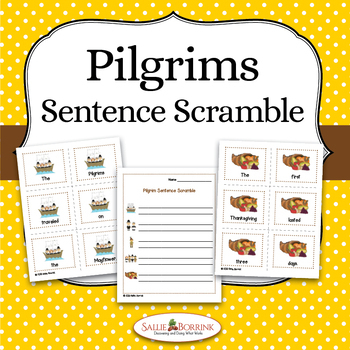 Set two: Sentence cards have no capitals or punctuation. Students must make this correction when writing sentences.